During my visit to Disneyland last September, I bought an annual pass, figuring that I'd be able to return a couple more times within a year to get my money's worth. So far, so good! I went again in December to see the holiday ride makeovers and decorations; I've just returned from my March trip; and I expect to go one more time in September, just before the AP expires. I began thinking about a spring trip soon after I got the AP. 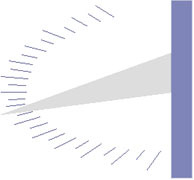 Then in late October, I got a nice email message from Rhonda Rushing, the president of Berntsen International. 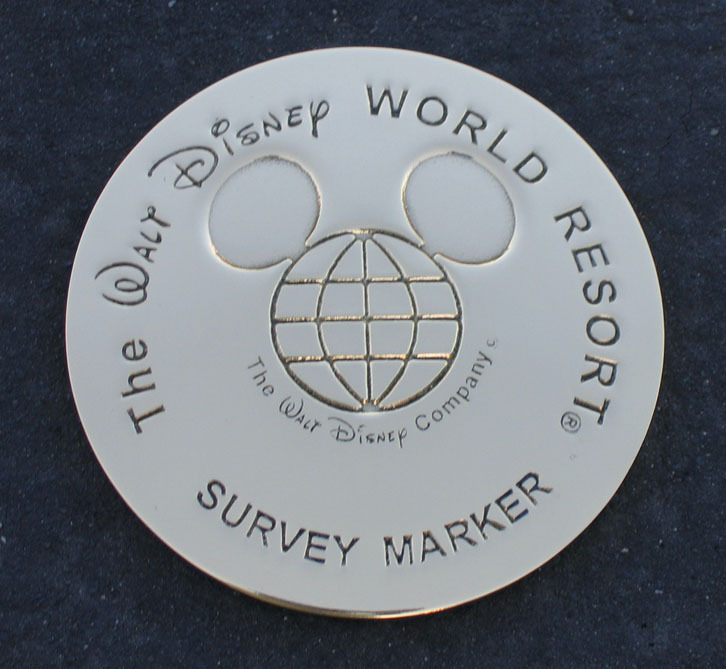 Those of you who've been following my adventures with Disney survey marks will recognize Berntsen as the manufacturer of the bronze and aluminum disks that the Disney surveyors use at Walt Disney World and Disneyland. Rhonda mentioned in her note that she and her husband, Bill, would be in Southern California in March and might visit Disneyland. After talking more with her, I began pinning down some exact dates to meet up there. Also last fall, I happened upon some interesting information on the Great America website. I don't even recall why I was on their website; perhaps to see what news they had about the possible conversion of one of their parking lots to a new stadium for the San Francisco 49ers. I've lived less than two miles from Great America for more than 20 years, yet I haven't set foot in the place more than a handful of times. And almost all of those were when it had the only IMAX theater in the South Bay. That should give you an idea of how much I prefer Disney's parks, that I'll travel hundreds or thousands of miles to visit those, but not a few blocks to see Great America! 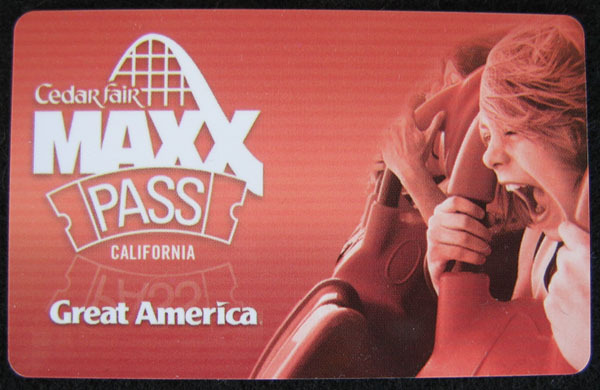 Anyway...while I was on their website, I discovered that the park had been bought by Cedar Fair, and that one of the season pass options for 2007 would allow entry to all other Cedar Fair amusement parks in the country--including Knott's Berry Farm in Buena Park. Well, I'd been threatening to visit Knott's for years, to see how it had changed since I last saw it in the 1950s. But my Disneyland visits were so short and so far between that I had never wanted to give up a day there to go up to Buena Park. In mid-November, I snagged a couple of $49 flights from Southwest to get me between San Jose and Orange County. Then in early December, I made a reservation for March at my favorite hotel, the Candy Cane Inn. Well, let me rephrase that: my favorite affordable hotel. :-) The Grand Californian is my favorite hotel at Disneyland, but I've only splurged and stayed there once. By this time, Rhonda and Bill had firmed up their plans. They would be visiting Rhonda's dad in the desert for a couple of weeks, and could come up to Disneyland for two days and one night. I had, of course, also alerted my Disneyland-local friends Larry and Julie Klementowski that we were all coming to town. Larry is the guy who's found most of the Disneyland survey marks, so he was excited about meeting Rhonda and Bill, too. There was nothing else to do now except wait for March to get here!